The Miller Analogies Test is 60 minutes long. When compared to other standardized tests, like the GRE, this seems like a short amount of time which can be an advantage for some students. Read on to learn more about what you will be expected to complete in the one hour test limit! How many questions am I required to answer in 60 minutes? The Miller Analogies Test has 120 questions. 100 of the questions count toward your score, while the remaining 20 are experimental. You can read more about experimental questions here. 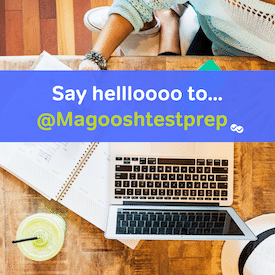 Why isn’t the MAT as Long as other Tests? The MAT features only one type of question, analogies. Is not divided into Critical Reading, Writing, Math, or any type of sections. Once you begin you test continuously for one hour with no break. If the Miller Analogies Test is not divided into sections what subject areas do I need to have knowledge of? That is a lot of subject areas, how am I expected to prepare? The MAT is designed to test knowledge you have gained through years of study. The good news is you will probably know quite a bit about the subject areas themselves already through years of schooling. In order to study it is best to familiarize yourself with the format of analogies, the types of relationships between analogies, and MAT vocabulary. Many students find that the length of the Miller Analogies Test works to their advantage. 60 minutes is much shorter than the GRE’s 3 hour and 45 minute test time. The difference in length can be a deciding factor when trying to choose between tests!